First of all, Happy Halloween! I wish you lots of chocolate and the opportunity to watch It’s the Great Pumpkin, Charlie Brown. Or whatever your favorite Halloween movie is! Halloween wishes aside, as the title suggests, the real purpose of this post is to let you know that I have a definite release date for my upcoming novel! I’ve been promising it as “mid-November,” and that turned out to be more literal than I thought it might. I’ve settled on a release date of November 15th. I had to tell you so that you can mark your calendars… 😉 and so that I’m committed to it, by virtue of having told everyone! 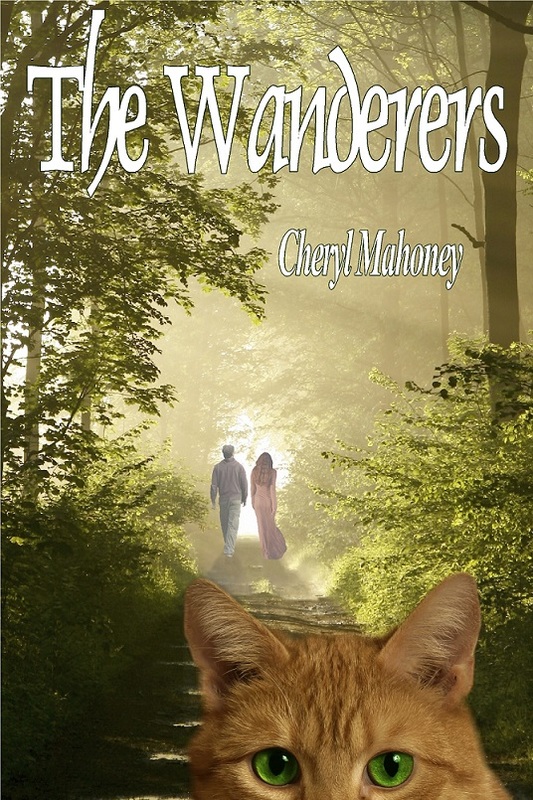 The Wanderers is currently listed on pre-release (ebook only) through Smashwords, and on November 15th it will be available in paperback and Kindle through Amazon. I also have to say that I am very grateful to the wonderful book blogging community, as several bloggers have kindly agreed to help me spread the word. Along with scheduling my release date, I’m scheduling interviews, guest posts and giveaways for after the release. I’ll keep you posted when they happen–although I highly recommend you follow all these bloggers anyway! And I am also grateful to all of you for coming along for the ride. The talking cat and I both thank you! Can’t wait to get it-its on my calendar! Congratulations, Cheryl! Can’t wait to host your guest post — and read the finished novel! I just noted on my calendar to buy it on the 15th! I was mostly kidding about the calendar… 😉 Looking forward to the guest post too, and I hope you enjoy the book! Smashwords is wordwide, but prereleases can’t be bought until the release date. Heehee, I’m just going to be a gigantic dunce now but if you can’t buy prereleases until the release date then I don’t really get it! Can somebody please take pity on my dumbass and chuck me a bone. What is Smashwords exactly?? Thanks in advance of lots of useful info. You’re not being a dunce! Smashwords is an ebook distributor. It allows you to distribute your ebook to multiple online retailers at once (at a small percentage cut per sale) as well as selling it via their own site. Yeah. They could stand to be clearer about that. I was a bit surprised to see that the book couldn’t be pre-ordered on Smashwords itself along with the other retailers who offer it too. Since they’re apparently working on revamping their entire storefront, though, that might be a functionality they’re going to add in the redesign. I hope so. It’d work into most people’s initial expectations and make the site more intuitive if nothing else. Eeeeeee! Official release date announcement! Congratulations! <3<3<3<3 Looking forward to when your book's out! ❤ (I do want to point out that Smashwords doesn't allow you to preorder the book. I'm hoping that's a functionality they'll be adding in future.) Yaaaaaaay on release date setting! <3<3<3<3 So exciting! Something like that. Maybe it’s something they’ll work on during the site redesign they mentioned starting to work on. It’s still only a beta feature, after all. And yes me too! It’s a functionality I deeply appreciate. That’s fantastic! Looking forward to buying it on Amazon as soon as it’s released. Congratulations.